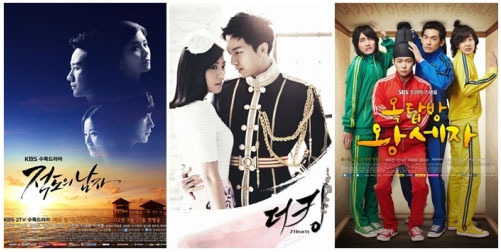 The happy ending for the time-travel romance drama, SBS’s “Rooftop Prince” has earned the viewers’ praise. Broadcast on the night of 24 May, in the last episode of “Rooftop Prince”, the mystery of the crown princess murder was solved. Buyong (Played by Han Ji Min) had replaced the crown princess (Jung Yoomi) and fell into the Lotus pond to save her beloved Crown Prince Lee Gak (Park Yoochun) from the crown princess’s plot to murder him. Park Ha, who opens a fruit juice store in Seoul meets Yong Taeyong who is a customer, but does not see his face as she is troubled. Later, she discovers a postcard at her door, with the signature “ㅌㅇ” and her sketch on it. Park Ha follows the card’s invitation and goes to Namsam tower, and meets Yong Taeyong there. Taeyong asks, “Why are you so late, I have been waiting for a long time” and Park Ha asks, “Where were you? I have been here all this while” and the two hold hands, as Taeyong becomes Lee Gak, dressed in his royal robes. With the commentary saying “Even after 300 years, I will still love you” and has a happy ending. After the drama was broadcast, viewers responded, saying “It’s a happy ending, but my heart still aches. It’s sad that we won’t be able to see this sweet couple again” “This is the most beautiful ending among the recent dramas.” “This is my dream romance, both of them are beautiful” “Rooftop Prince, even after 300 years, I will still remember you” and other praises. Since I wasn’t able to comment much on Rooftop Prince while it was airing, I’d like to leave some final comments now that it’s finished. Rooftop Prince is actually a good drama. I’m not saying this just because Yoochun is the lead actor but simply because I enjoyed watching it. I think it has the right mix of mystery, suspense, romance, comedy and drama. Though some episodes – in my opinion – were a bit dragging, I found myself looking forward to each episode. I credit this to my desire to know the mystery behind the murder of the Crown Princess during the Joseon time and how it is link to the characters of the modern world. I liked Yoochun’s acting here better than his acting in his first two dramas. I came to know that Yoochun can actually act in any genre – comedy, romance, drama – and still be an effective actor. Add to that, I really like Yoochun and Han Jimin’s chemistry on screen. I found myself giggling when they’re bickering or whenever they have a romantic moment. I’d love to see their pairing on a drama again in the future. As for the ending, I like how the mystery of the Crown Princess’ death was explained in the last episode and I’m happy that I could actually see the link of what happened to Prince Lee Gak in the modern world to what happened to Joseon 300 years ago. However, I felt a bit disappointed of the ending. I kinda felt it was unfair for Prince Lee Gak to be left alone with no Park Ha or Bu Young to be with him after everything that he’s been through in the modern world. While on the other hand Yong Tae Yong, who only appeared in the first and the final episodes, gets to be with Park Ha. I mean, seriously, that’s unfair. Overcoming his sadness, JYJ member Park Yoochun’s acting shone till the end. In the SBS drama “Rooftop Prince”, the “Sugar cube” couple Lee Gak (Park Yoochun) and Park Ha (Han Jimin) share an emotional love that crosses through 300 years, and ended on 24 May. 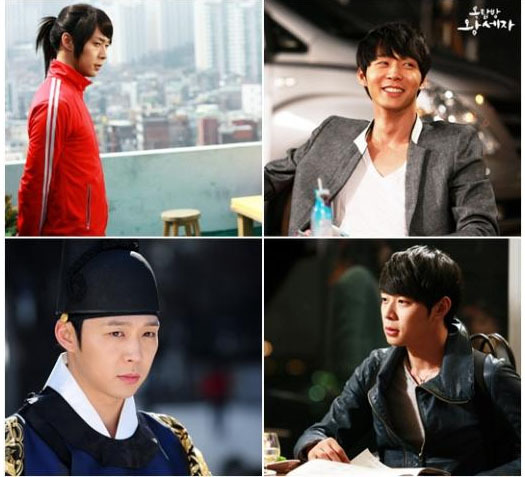 The strict image of the crown prince from the Joseon era, the happy image in the modern day where he works hard to deal with society, and the tender image during his romantic moments with Park Ha, Yoochun displays various charms in his role, showing an even more mature image that helped drive the atmosphere of the drama. Yoochun’s role as Lee Gak is in harmony with his previous characters in KBS 2TV’s “Sungkyunkwan Scandal” and MBC’s “Miss Ripley”, and he, who is well loved by the viewers, has expressed various characters well. With the unique nature of a Time slip, he had to move back and forth between a period drama and modern drama, and he performed both roles perfectly in a fresh and interesting manner. Also, despite the the difficult period at the beginning of the drama where time was tight and his dearest father had left the world, he held it in and performed passionately, shining even brighter. During then, Yoochun, who returned to the set of “Rooftop Prince” earlier than expected to continue shooting, had thought of the fans, viewers, the staff who were working hard and felt that he could not wait any longer. In the middle of filming, Yoochun had tweeted on his personal account, with the message “Father, I want to meet you. So much so that I’m going crazy”*, worrying the fans, and recently he tweeted, “These last few days of filming will feel longer but go by faster than any other day. Rooftop Prince is a production that gave me sorrow and joy… and has made me a stronger person,” showing that he has become stronger. Amidst a busy schedule, he was also faced with the crisis of a traffic accident. Early this month, Yoochun met with a traffic accident while travelling to his shooting location, and said that he felt pain in his neck and waist, but due to his tight schedule, he did not go to the hospital and continued filming, which shocked everyone around him. Even though he went through difficult trials, Yoochun expressed his own role very well, making “Rooftop Prince” shine even brighter. (Yoochun, 7:11pm KST, 120524) We’ve reached the end of Rooftop Prince, an ending more beautiful than any other production so far…^^ Thank you so much for all the love you’ve given me. Thank you. I’ll love you, even if 300 years pass~^^ Silly~~~~~!!!! (Yoochun, 7:21pm KST, 120525) @1215thexiahtic Thanks~^^ Good luck on your tour!! You’re the best!! (Yoochun, 10:00pm KST, 120525) Lee Gak, you’re the first drama character that I found myself leaning on… I’m going to miss you… Goodbye. You want to be MORE tired than you are now?! JYJ member Park Yoochun talked about his feelings towards the SBS drama “Rooftop Prince”, which is ending soon. In response to this, co-star and actor Lee Taesung said, “‘Rooftop ‘All-nighter’..We don’t have much time left! Crown Prince, be strong so you can pull all-nighters!” Netizens who saw this said, “It’s a pity that the drama is ending” “Fighting till the end!” and other responses. 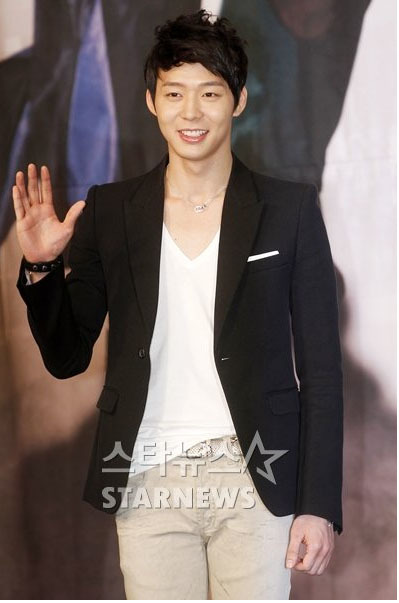 “Rooftop Prince” that stars Yoochun, will be ending its broadcast on 24 May. (Junsu, 1:30am KST, 120518) I’ve been doing nothing but look ahead and run to succeed.. A foolish child.. That child, my childhood inside of me.. He asks you as well.. Why don’t you love me.. Just the way I am..
(Junsu, 1:37am KST, 120518) While I live, that cute child.. I want to cherish him in my memories.. I won’t go back.. I want to keep walking down my path.. It would be meaningless to go back.. Can’t you love me.. The way I am.. Why don’t you love me.. Love me.. Just the way….. I am…. (Yoochun, 7:59pm KST, 120518) The fragrant and sweet faded light comforts me, it alights someone out there with a warm and hot light, and at the moment it sets, it makes us feel sad as we look back at the time that has passed as life shows us the beauty of passing time. The moon.. The sun… The sky are lives that people always dream of having. (Junsu, 1:32am KST, 120519, English tweet) @cRyanChandler See you today!!! (Junsu, 3:53am KST, 120521) @code07lim Hyung, go to sleep~!! (Yoochun, 10:58am KST, 120521) No!!!!! It’s okay~ It’s this!!!!!!!!! (Minho, 11:32am SKT, 120521) @6002theMicky Hyu.. hyung… You must have stayed up all night….. Keep your dignity intact…. (Yoochun, 11:37am KST, 120521) @93LeeMinHo I’m sorry…. Ahem…. Manbo, are you still in Hanyang in 2012… Chisan is in the Joseon Dynasty, do you hear me~!!! (Yoochun, 11:46am KST, 120521) Hm…. What should I do…. This is a big deal…. (Yoochun, 5:41pm KST, 120521) @wowkimsohyun Who….. said you could be so pretty!!! (Yoochun, 12:19am KST, 120522) These last few days of filming will feel longer but go by faster than any other day. Rooftop Prince is a production that gave me sorrow and joy… and has made me a stronger person. (Tae Sung, 1:27am KST, 120522) @6002theMicky Rooftop ‘All-nighter’ (T/N: 밤세자 looks like 왕세자).. I dub thee the person who has pulled the most all-nighters for this drama! We don’t have much time left! Crown Prince, be strong so you can pull all-nighters! (Gun Young, 2:01am KST, 120522) @6002theMicky Hwaiting~~ Park Yoo!!,! !